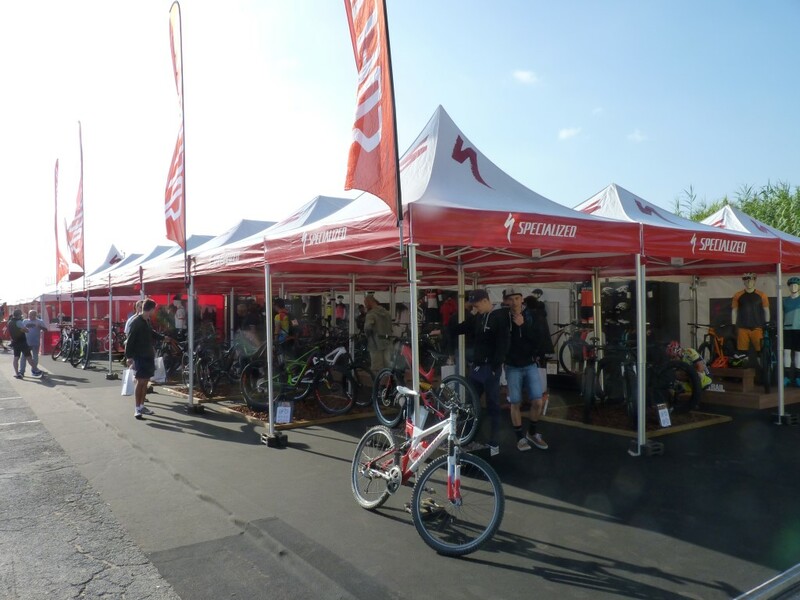 Exhibitions are the events where you need to stand out. 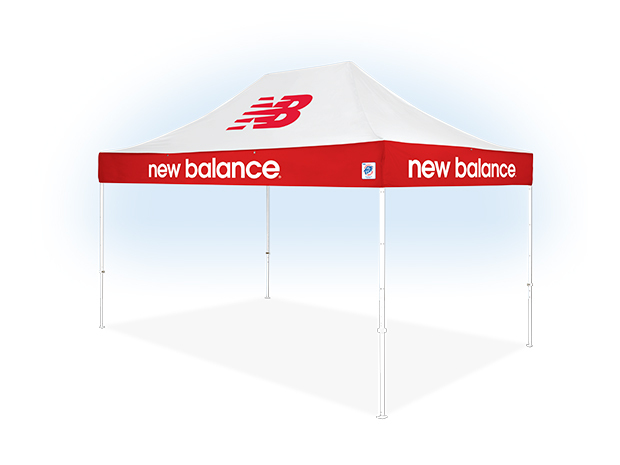 An E-Z UP Exhibition Tent is a must-have if you want to maximize the appeal of your stand, because such tents perfectly manage to combine convenience and a professional look. 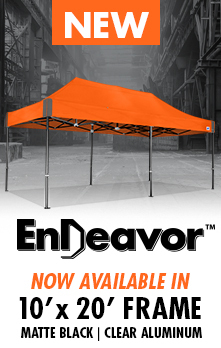 E-Z UP Exhibition Tents like the Eclipse folding tent are the best way to attract attention during an exhibition. 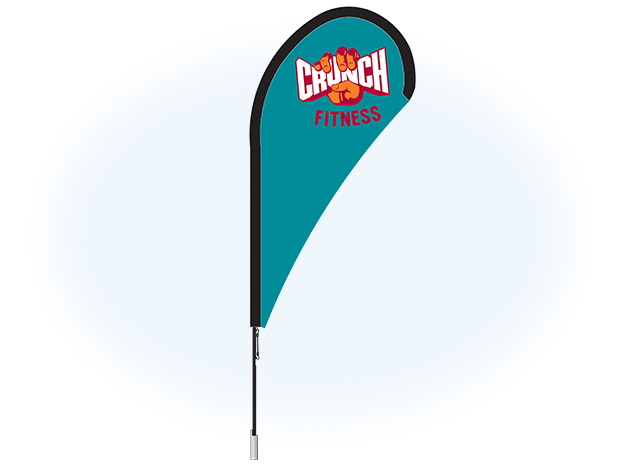 E-Z UP's excellent printing quality provides you with a perfect way to bring out all your expressions, logos and photos. 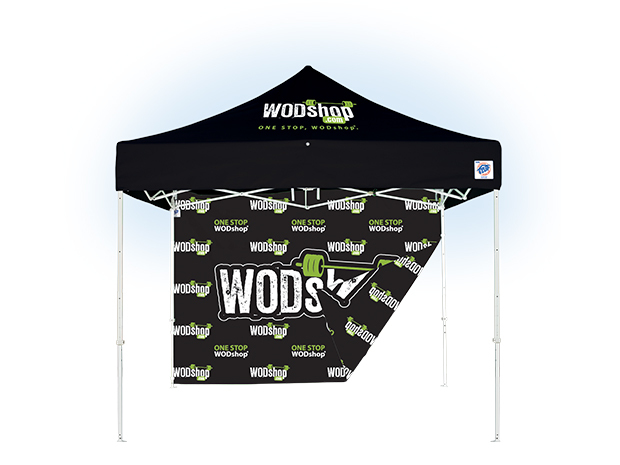 This promotional tent is ideally suited for in-store and outdoor promotions, or exhibitions to put your company in the spotlight. 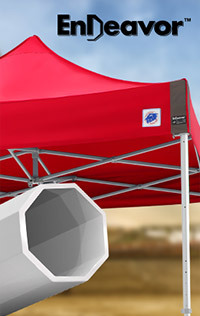 E-Z UP can provide full assistance in your design of the tent, we will not stop until you are satisfied! 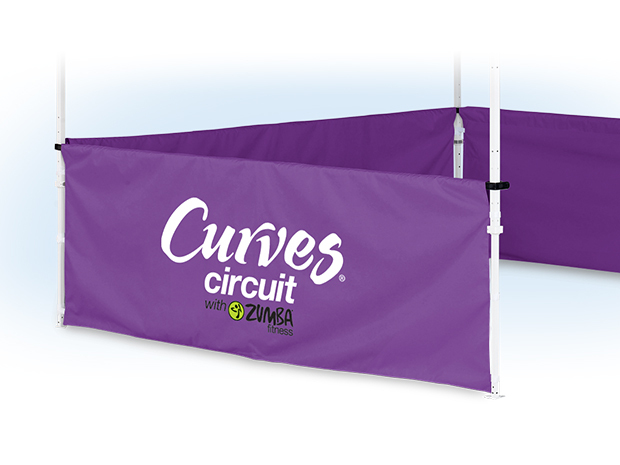 The E-Z UP Eclipse tent series has a warranty of seven years. 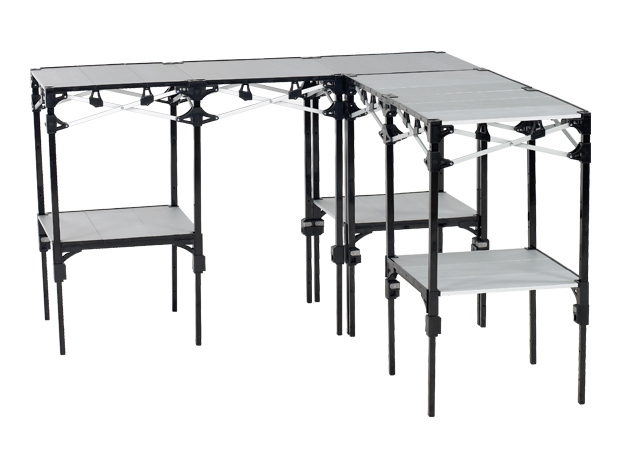 In addition, the frames and roofs are available in many colours. 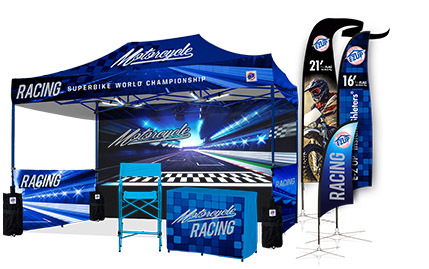 Do you wish to have your tent printed or have it equipped with flags, tables and other accessories? E-Z UP is happy to think along with you. 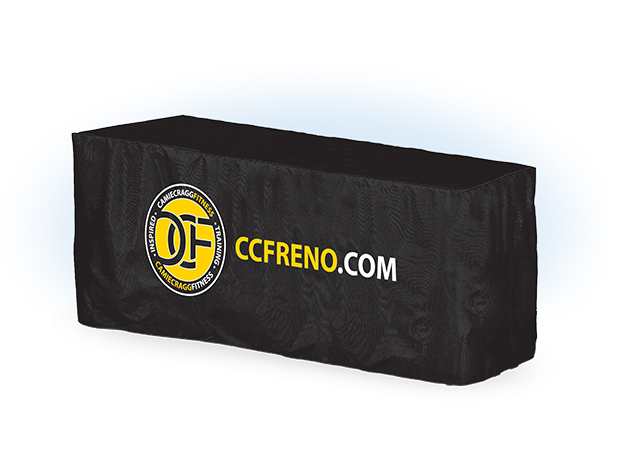 Above, the Eclipse™ tent is depicted in size 3x3 with printing and a corresponding printed blade flag.